Ever had a house guest who liked it at your place so much they just stayed for days? The longer they were there, the messier the guest room got, the higher your dirty dishes grew and the less you recognized your own home? Why did this happen? It was because you fed them tasty meals, kept the frig full of beer and sodas, set the thermostat just right, and even fluffed their pillows at bedtime! In other words, you made your place a 5 star hotel! How could they possibly leave? 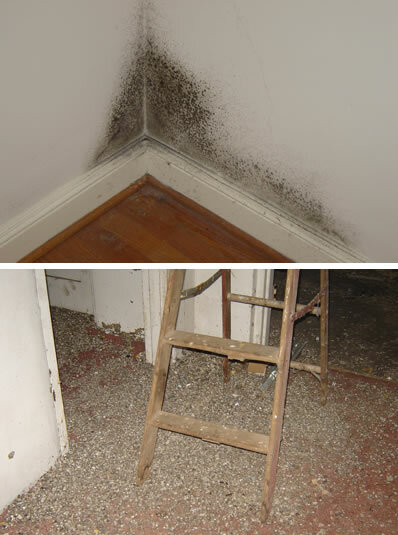 Mold is like that uninvited guest. A little bit of it is fine. After all, if not for molds, we would be walking in mountains of dead leaves, trees, and all kinds of disgusting un-decayed organic stuff. But once it begins growing in your home, inside your walls, the basement, or the air conditioning system, it’s time to get things under control. No more Mr. nice guy – it’s time to terminate that unsigned lease! So what do you do to get rid of these uninvited guests that just won’t leave? Shut down that 5 star hotel! Empty out the refrigerator, cut the water to the shower, turn on the air conditioning to full blast, and then see how long they stay around!